Guess what? We are in Florida! We arrived Friday night and are staying a week for a family wedding. The first several days we are staying at my sister’s in Marco Island. I haven’t really been in control of dinners and so far we’ve had ribs and deli salads and chicken and deli salads. My turn today! For meatless Monday we started with a large salad and followed that up with a penne dish. The dish was dressed with a little olive oil and was easy and healthy. 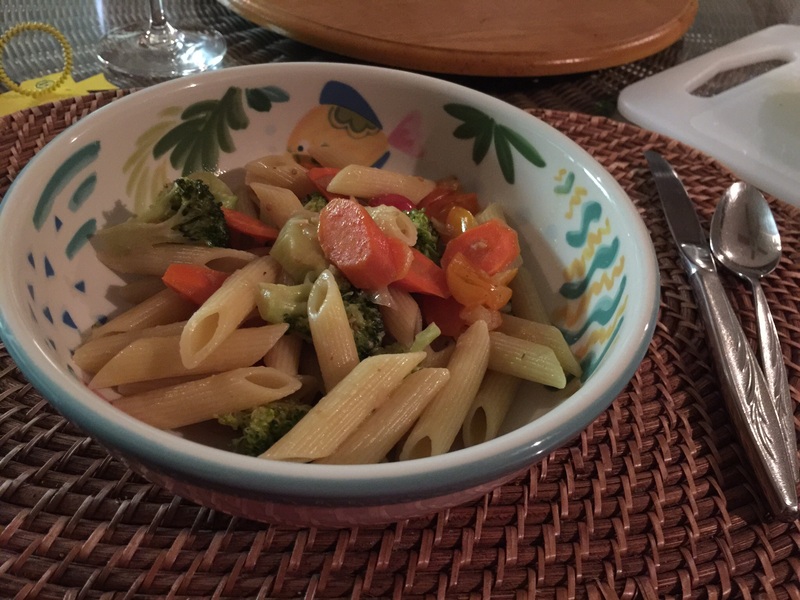 This entry was posted in Vegan, Vegetarian and tagged broccoli, carrots, Cherry tomatoes, Olive oil, penne, Vegan, vegetarian. Bookmark the permalink.